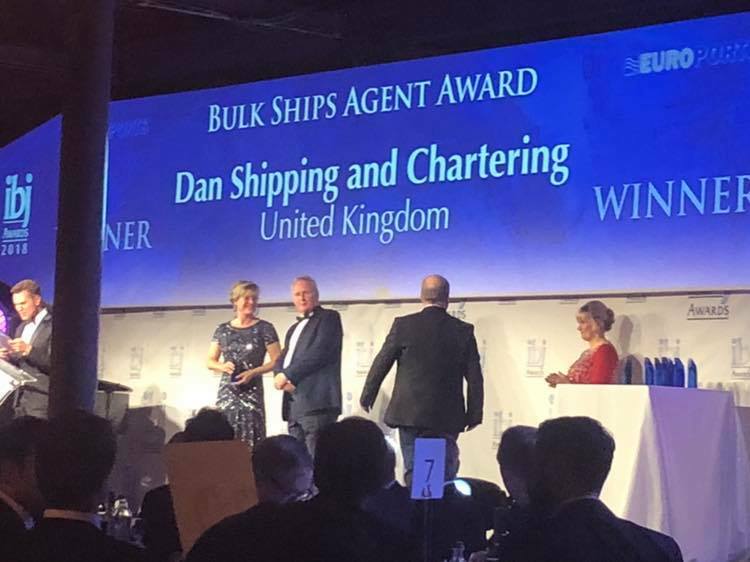 Good Travel Management's sister company - Dan Shipping and Chartering, took home the Bulk Ships Agent Award last night in Ghent. A salute to excellence in the Maritime Bulk Industry, the IBJ Awards salute achievements by individuals and organisations and uniquely provide companies with an opportunity to put themselves in the spotlight, or to nominate an organisation who they believe is doing a fantastic job. This prestigious award from a worldwide perspective, is shortlisted down to 6 companies with judges deciding on their winner. The judges commented that "Dan Shipping and Chartering were the agency that excelled in all areas, providing a service unrivalled by their competitors continuing to provide a bespoke, premium service to their customers"
A fantastic achievement and a real credit to all of the team and their continued hard work.